April 10-12 we took 8 students God has brought to our ministry on a retreat to Big Bear (shout out to Bill and Candle Weaver and Summit Christian Fellowship for the amazing accommodations and hospitality!). God did more than we could have ever imagined, both in our individual hearts and in forming the DNA of the group as a whole. 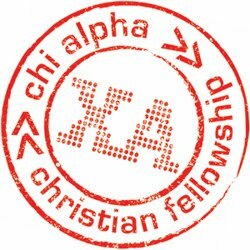 I have no doubt we will look back on this weekend as the beginning of something big for the future of Chi Alpha @ San Diego State. Rather than tell you about it myself, I thought I would simply copy and paste the Facebook comments of a few of the students who went as well as the video above made by one of our students. It’s amazing how they went from barely knowing each other to being best friends who are inviting others to be a part of the community. “For those of you who don't know, I would love to introduce to you my SDSU family Chi Alpha. This group will be launching in the Fall of 2015 but already God is moving within this group from amazing events and small groups already in session. Contact me for more information. Thanks so much for your prayers for Brandon’s Dad, Kevin. His surgery on the brain tumor was successful, but they did find out it was a glioblastoma, stage 4 cancer. Today he is starting a 6 week round or radiation and 3 months of chemotherapy. Continue to pray for his healing and the cancer not to come back. Exactly 1 month after Brandon’s car was stolen it was found by the police in an alley in San Diego. It cost almost $300 to get it back from the impound lot, but that is way cheaper than a new car. Thanks again for your prayers! The girls went back to school after two weeks of Spring break. It’s a little bittersweet. It was fun spending more time with them, but good to be back to our normal routine. We had an amazing banquet on Saturday, April 25 with many of our supporters as well as new friends of our ministry. Thanks for all those who sponsored tables, brought friends to introduce to our ministry, and who came. It was a great celebration of what God has already done and what we know is in store.